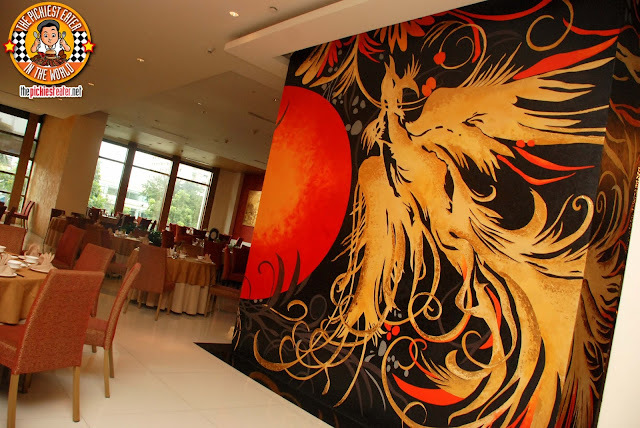 The first thing that greets you as you enter the grand dining area, is a stunning rendition of the restaurant's namesake.. A mural of majestic phoenix emblazoned on the wall. 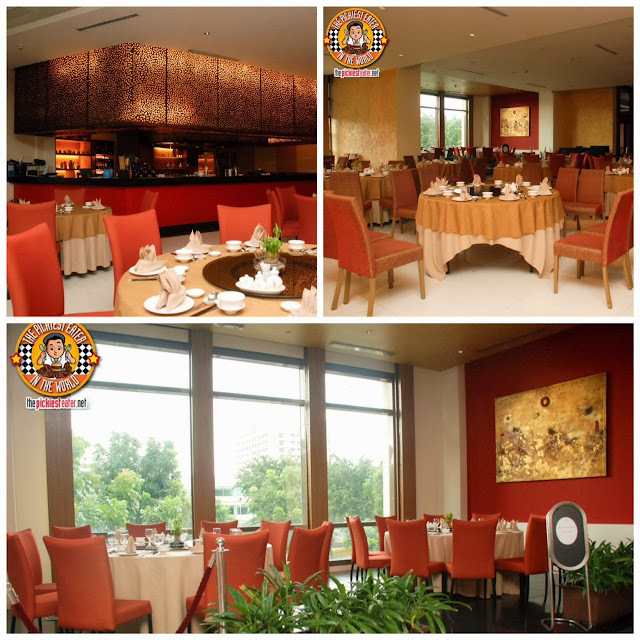 Just like The dining area looks like a vast ballroom with artistic Chinese artwork adorned on the walls. Tables are spaced out nicely so it doesn't feel crowded at all. 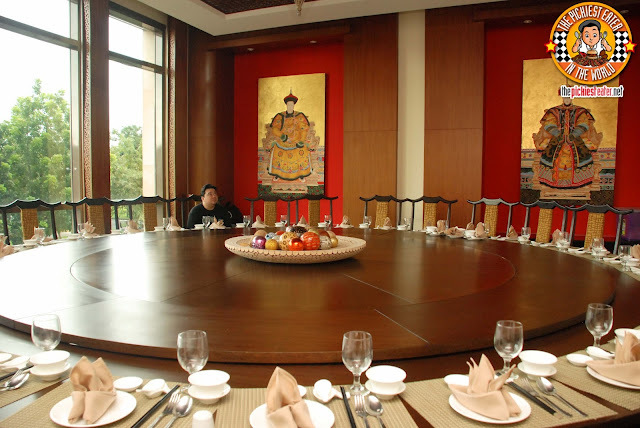 Phoenix court also features 4 private dining rooms, including a massive one that can fit up to 25-30 people into one table. "Mom, can you pass the salt, please??" 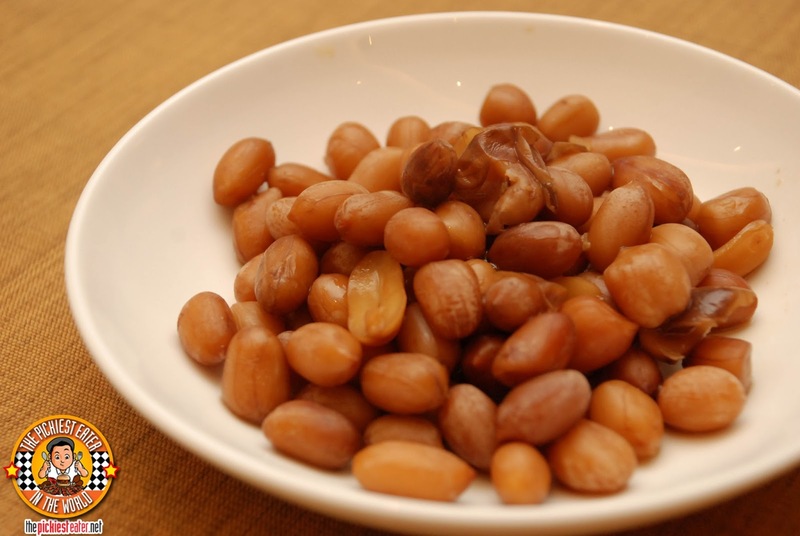 The meal starts off with complimentary steamed peanuts. Normally, I wouldn't even bothering mentioning this, but there was something about it that made it so addicting. It had a touch of fragrance and was soft to the bite, without becoming mushy. Nice way to warm up your taste buds for the main event. 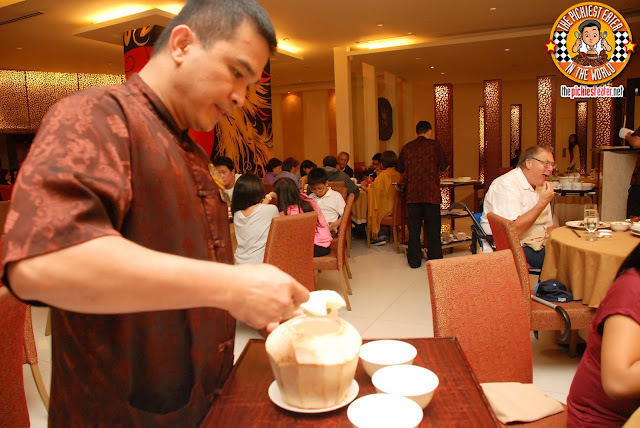 The first time I walked into a dimsum restaurant as a child, I knew I was hooked, and there was no looking back. 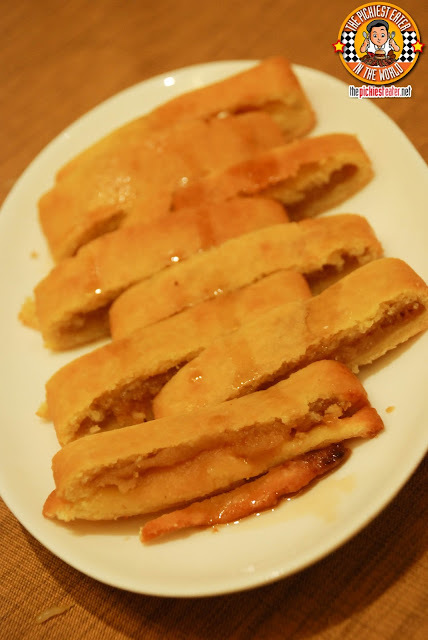 From then on, every time I go to a Chinese restaurant, I use their dimsum and their Sweet and Sour Pork is used as the measuring stick for their quality. 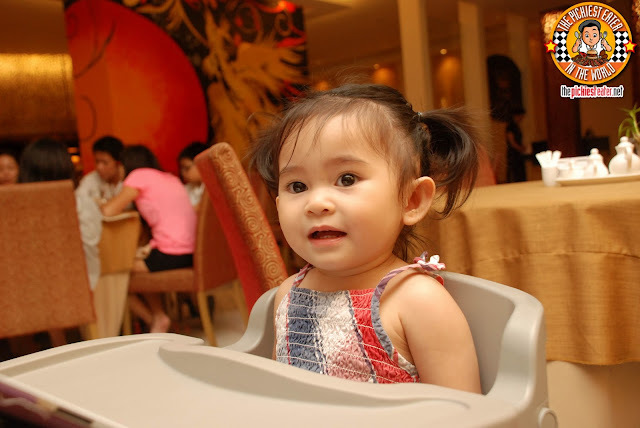 Rina may not realize it, but she too is a dimsum fanatic. 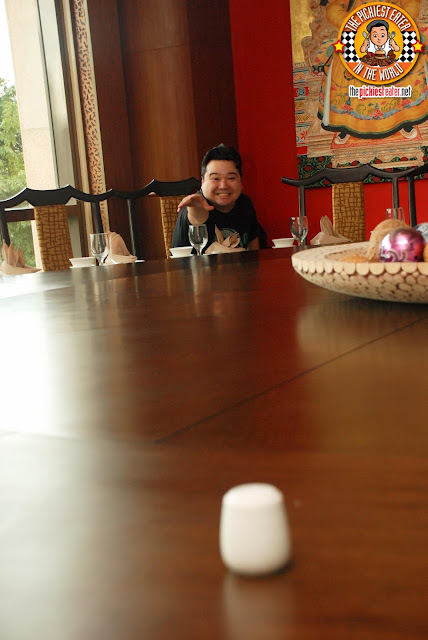 In fact, our three dimsum orders were all her requests (I let her choose the dimsum, I chose the entrees.. In a marriage, you gotta pick your battles hehe). 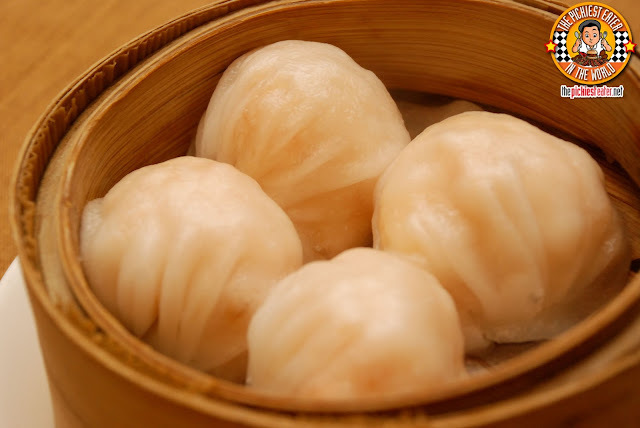 Rina started off her meal with the Crystal Prawns Dumpling Hakao (4pcs, P160). I don't eat shrimp, but Rina absolutely loved this. 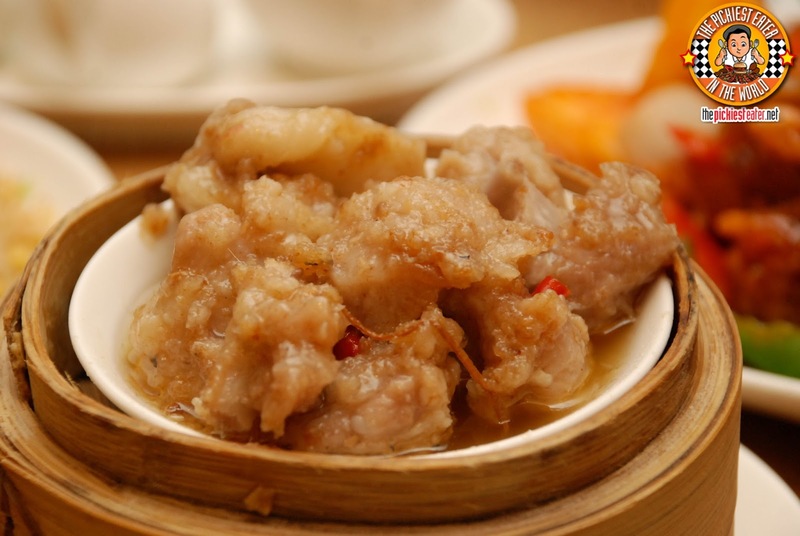 The plump shrimps were enveloped in a thin wanton wrapper and steamed to a lovely translucent tone. She found it incredibly juicy and flavorful. 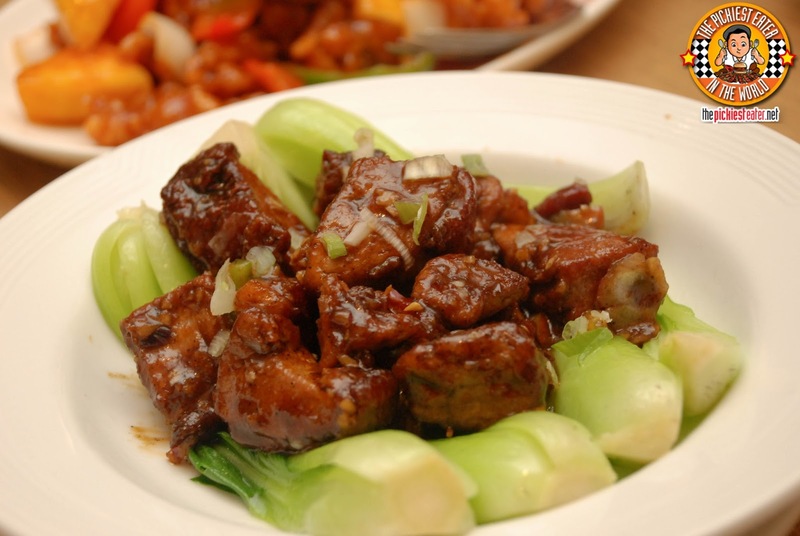 Another one of Rina's favorites is the Pork Spare Ribs with Taosi (P140). This was delicious. It was tender, moist cuts of spare ribs with touches of heat and gorgeous layers of fat on it, bathed in a steamed taosi sauce that you could douse on top of your rice and make it a meal in itself. Ever since the first time she tried Xiao Long Bao, Rina has become a fan. Which is why she was beside herself when she realized she missed out on ordering this in the menu. 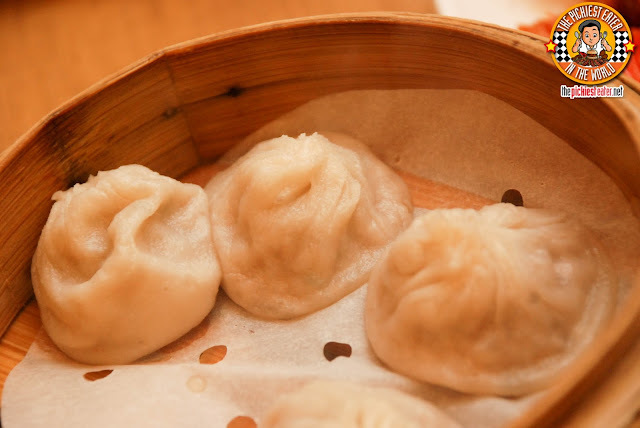 She only noticed Phoenix Court had their own Xiao Long Bao (P160) after we had ordered and she asked to borrow the menu for photo purposes. After a few puppy dawg eyes looks at me, I knew I had to order it for her hehe. This was quite delicious, with the broth within the dumpling very good, but the wrapper just didn't hold very well.. meaning out of the four dumplings we had, only one made it to the spoon without breaking and the soup intact. 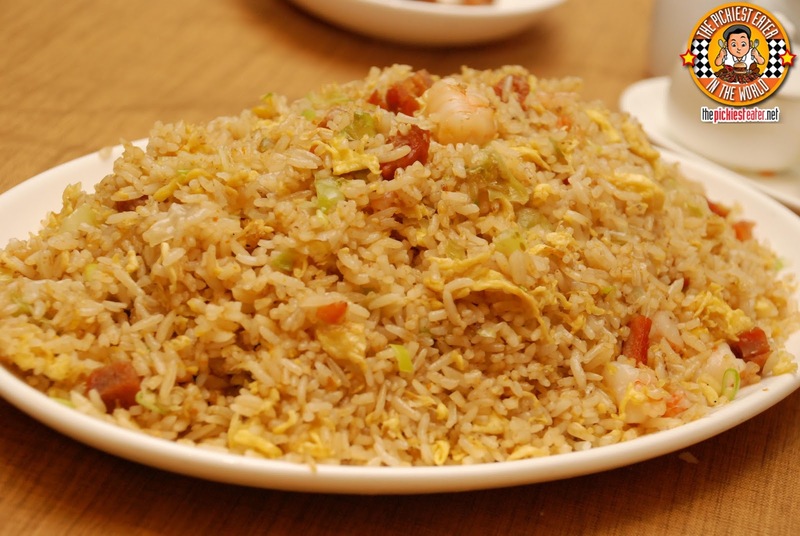 I see it as sacrilege to not order Yang Chow Fried Rice (P320), or any fried rice for that matter, when you're at a Chinese Restaurant. Phoenix Court's version was rather exceptional, with a wonderful mixture of meat and shrimps peppering the rice, creating a nice balance of flavors as the perfect companion to your main dishes. There were honestly two misfires among our orders, with the first one being the Stir fried Roasted Duck with Black Pepper (P490). Truthfully, it wasn't all that bad, but it wasn't anything to crow about either. I found the duck meat to be too much bone for me to really appreciate it, and the sauce wasn't for me (Although I'll admit, I ate the leftovers when I got home). Next time, I'll stick to a beef or chicken dish. Something that did knock it out of the ball park, was the Deep-fried Lapu-Lapu Fillet with Garlic Oyster Sauce (P480). This was amazing. 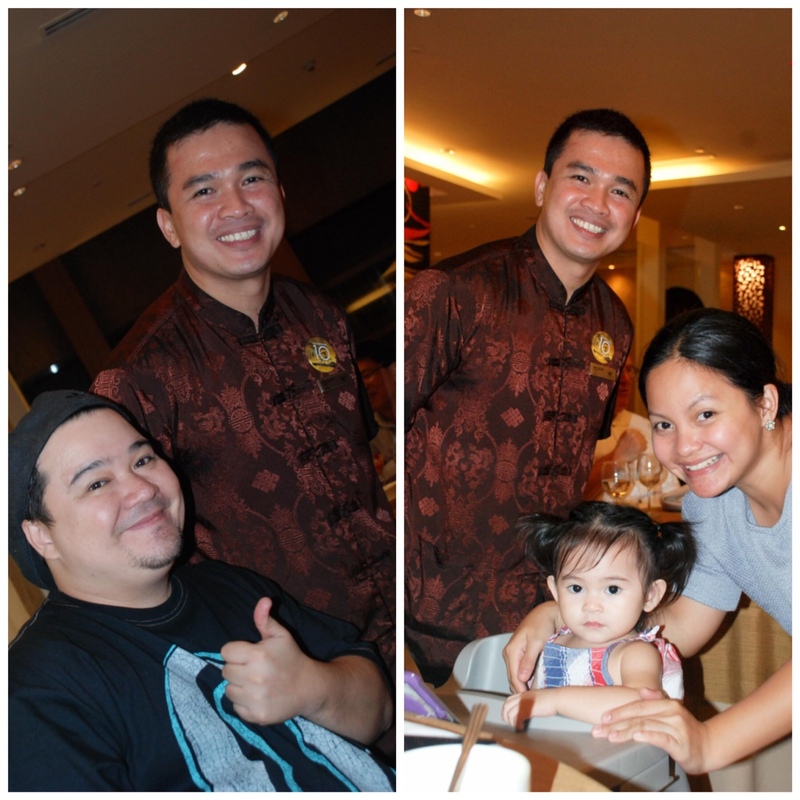 I rank it up there with some of the best seafood dishes I've ever tasted. 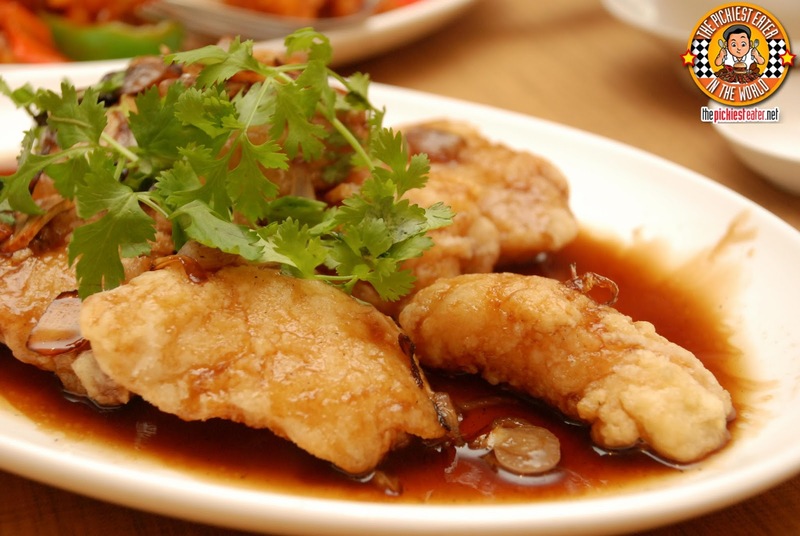 The fish fillets were coated in a light breading, and dipped into a flavorful Garlic Oyster Sauce whose flavor just resonated in your taste buds. You could taste the freshness of the fish in every bite. The light sweetness of the sauce was a great contrast to the natural saltiness of the fish. 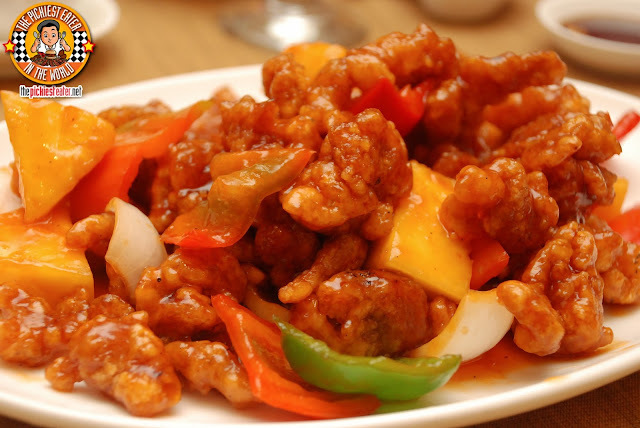 Then came the true test for me: The Sweet and Sour Pork with Pineapple (P290). And you know what? 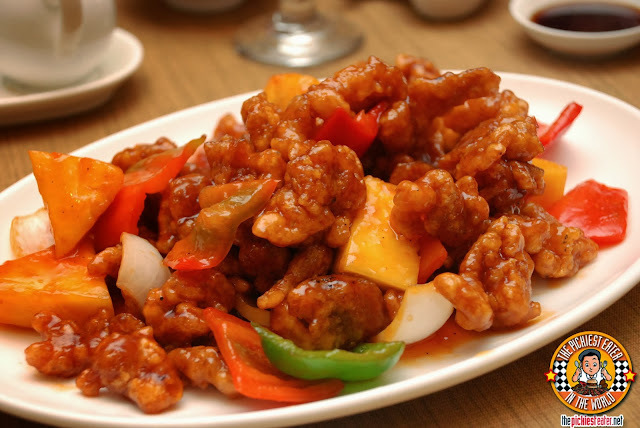 I can safely say that Phoenix Court has one of the best Sweet and Sour Pork Dishes I've ever tasted in my entire life. I could not get enough of this! The cuts of pork were lightly breaded pork were deep fried perfectly, allowing a gorgeous crunch with every bite. Each piece of pork was coated in a stunning sweet and sour glaze, that takes your taste buds on a roller coaster ride of flavors. You immediately get hit by the tanginess of the sauce, which then swirls into a light sweetness that complements the meat. This, together with the Yang Chow Fried Rice, is an unstoppable duo. There was only one thing that I ordered that I didn't like at all, and that was the Pan-fried Crispy Pancake with Lotus Paste (P170). I was expecting a thin pancake, but instead, it was closer to a biscotti with lotus paste. I didn't like the texture of the paste so much either. I would definitely skip this in the future. 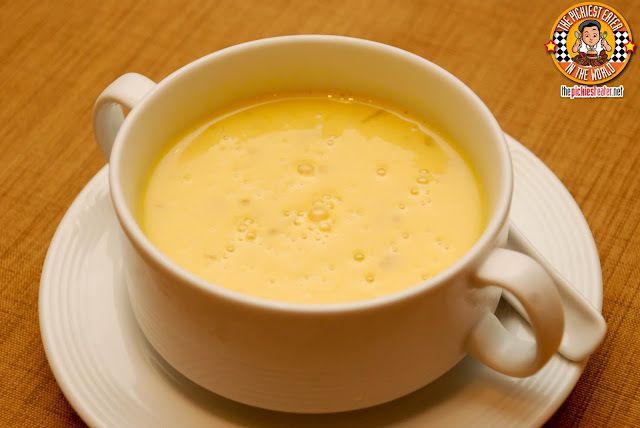 Though I normally stay away from Mango because of my Hyper Acidity, but I couldn't resist the Chilled Cream of Mango Sago (P160). The cream had just the right amounts of creaminess to make sure the acid on the mango wouldn't be too sour. Our attendant, Wilson, said we could not leave Phoenix Court without trying their best selling dessert, the Coconut Pudding. 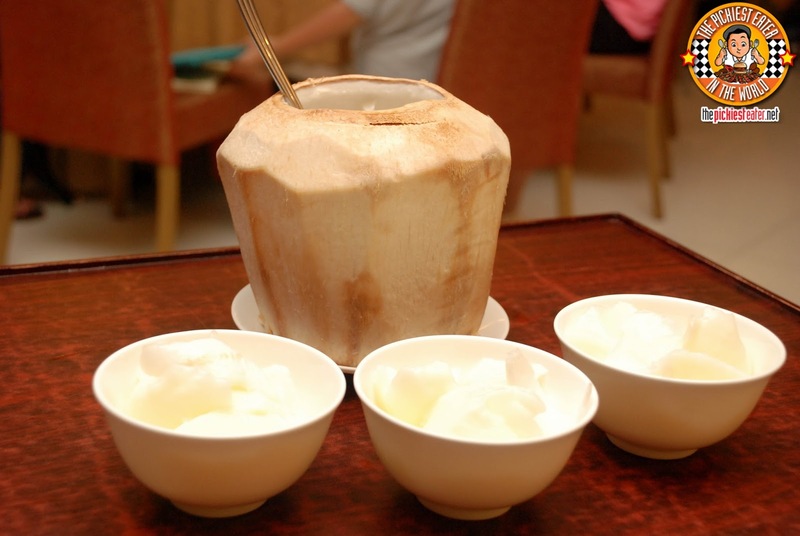 The pudding was chilled inside a actual coconut, allowing the innate flavor of the fruit to be imbibed within it. The pudding was then mixed with fresh coconut meat, scooped straight from the fruit and into your bowl, giving you a refreshingly tasty dessert! Definitely a superb way to end the meal! 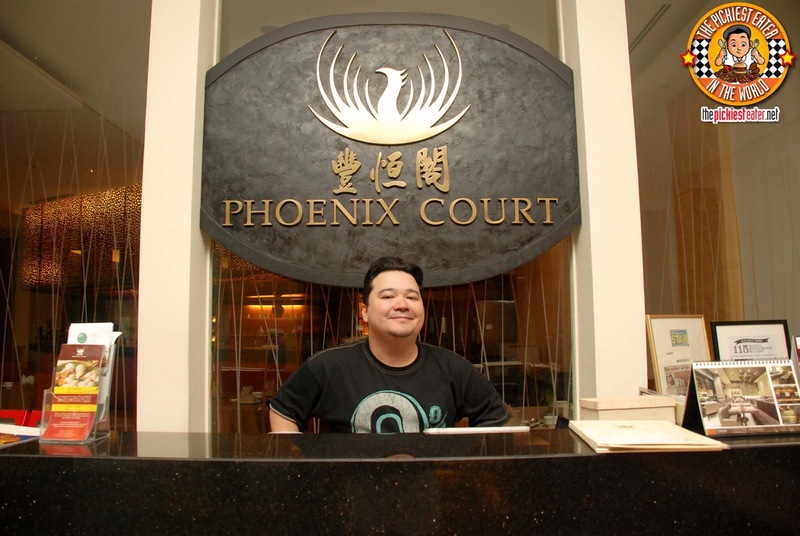 With its wonderful food and excellent service, It comes to no surprise that we had such a wonderful time at Phoenix Court. I really must commend our server Wilson who took great care of us! We'll be back soon!